Are you in the middle of writing a scientific article or just starting to write an article? Would you like to get more support for your writing process or comments on your text? Would you like to know more about an international publishing process of a scientific article? You still have time to apply for a two-day article workshop organized by FinEd Network! In the article workshop, doctoral researchers prepare their scientific articles and receive comments and guidance from the senior researchers of the FinEd Network. During the workshop, there will be lectures on a scientific writing process and international publishing process. The application period expires on 28 February 2019. Read more: http://www.fined.fi/en/courses/. The annual seminar of the FinEd Network will be held as a pre-seminar for the FERA Conference on Education. This year, the conference will be organized at the University of Eastern Finland, Joensuu Campus on 21-22 November 2019. FinEd seminar Mixed methods – always better? will be held on Wednesday, 20 November 2019. The keynote speaker is Lucila Carvalho (Massey University, New Zealand). Seminar workshops will deal with research methods, especially mixed methods. A more detailed programme for the FinEd seminar will be published in early summer. Science Europe, an association of the European research funding and research organizations, has published a guide to the international alignment of research data management at the end of the year 2018. The guide defines minimum requirements for data management plans (DMPs). The guide can be found on: https://www.scienceeurope.org/wp-content/uploads/2018/12/SE_RDM_Practical_Guide_Final.pdf. The FinEd Network will start publishing on its web page a list of doctoral dissertations in the field of educational sciences in Finland. The aim is to facilitate access to information on dissertations by gathering basic information on one page. The list includes information retroactively from 2010 onwards. The list is still under construction, but if you notice any shortcomings, contact the Network coordinator (anneli.lehtisalo@tuni.fi). The list can be found on: http://www.fined.fi/vaitokset/. The annual seminar organised by the Finnish National Board on Research Integrity (TENK). The seminar is in Finnish. Further information: http://www.etiikanpaiva.fi/2019. Deadline for abstracts 28 February 2019. Further information: http://conferences.au.dk/8thnordicadult/call-for-papers/. Registration begins 18 March 2019. Further information: https://www.helsinki.fi/en/conferences/pedaforum-2019. Deadline for abstracts 15 March 2019. Further information: https://www.kasvatus.net/call-for-papers-kasvatuksen-historian-ja-filosofian-kesapaivat-annual-meeting-of-the-finnish-society-for-history-and-philosophy-of-education-11-12-6-2019-oulu/. The conference organised by European Research Network About Parents in Education. Deadline for abstracts 24 February 2019. Further information: http://ernapegdansk2019.pl/. The conference organised by the European Association for Practitioner Research on Improving Learning (EAPRIL). Deadline for abstracts 9 March 2019. Further information: https://eapril.org/eapril-2019. Next year the FinEd Network will cover all the academic units in Finland which provide doctoral education in the educational sciences. The Faculty of Educational Sciences in the University of Helsinki and its doctoral programmes, the Doctoral Programme of School, Education, Society and Culture (SEDUCE) and the Doctoral Programme of in Psychology, Learning and Communication (PsyCo) will join the Network from the beginning of the year 2019. 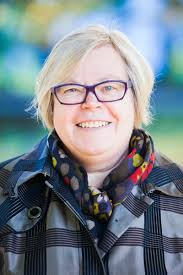 In the Network board the Faculty of Educational Sciences is represented by Professor Pirita Seitamaa-Hakkarainen. Thanks to everyone who participated in the annual seminar of FinEd Network! Nearly sixty doctoral researchers and twelve senior researchers participated in the annual seminar of the FinEd Network in November, In the University of Tampere. The theme of the seminar was Identity and Future of Educational Research and its keynote speakers were professor Harry Daniels (University of Oxford) and professor Dorthe Staunæs (Aarhus University). The slides of their presentations can be obtained from the coordinator of the Network. In 2019, the annual seminar will be organised as the pre-conference of the FERA Conference on Education, in the University of Eastern Finland, Joensuu. The date of the FinEd seminar will be Wednesday the 20th of November. The programme of the seminar will be published later in the spring 2019. Conference is open to all and free of charge. Further information: https://www.helsinki.fi/fi/projektit/uudistuva-opettajankoulutus/konferenssi-7.2.2019. The annual meeting of the American Educational Research Association (AERA). Early-bird registration ends February 28, 2019. Further information: http://www.aera19.net/#. Media Education Conference organised by the Centre for Media Pedagogy at the University of Lapland, Finland. Deadline for abstracts January 21, 2019. Further information: www.ulapland.fi/MEC2019. The 4th Conference of the ESREA Network on Policy Studies in Adult Education. Deadline for abstracts December 18, 2018. Further information: https://sites2.ff.cuni.cz/esrea2019/. 70 European doctoral and advanced research students are invited to a five-day Summer School organized by the European Educational Research Association (EERA), Masaryk University and the Czech Educational Research Association. Deadline for applications January 31, 2019. Further information: https://eera-ecer.de/season-schools/eera-summer-school-2019/. The biannual conference of the European Association for Research on Learning and Instruction (EARLI). Early-bird registration time ends April 3, 2019. Further information: https://earli.org/EARLI2019. The annual conference of the European Early Childhood Education Research Association (EECERA). Deadline for abstracts February 13, 2019. Further information: https://www.eecera2019.org/. The annual conference of the European Educational Research Association. Deadline for abstracts January 31, 2019. Further information: https://eera-ecer.de/ecer-2019-hamburg/. The 9th triennial conference by the European Society for the Research on the Education of Adults (ESREA), organised by the Department of Andragogy, Faculty of Philosophy, University of Belgrade. Deadline for abstracts February 25, 2019. Further information: http://www.esrea.org/wp-content/uploads/2018/08/ESREA-9th-Triennial-Conference-Call-for-papers.pdf. The registration for the Annual Seminar of FinEd Network has now opened. The FinEd Network invites doctoral researchers to participate in its annual seminar in Tampere, 14 November, 2018. The seminar is entitled Identity and Future of Educational Research and the keynote speakers are Professor Harry Daniels (University of Oxford) and Professor Dorthe Staunæs (Aarhus University). The seminar will start with a session that addresses the questions of identity of the field. In the afternoon, the future of educational research will be discussed on a more concrete level in a session where feelings aroused by academic work will be considered. During the seminar the participants will also have an opportunity to present their ongoing work in parallel article workshops and receive feedback from the peers and senior researchers of the FinEd Mentor Pool. In addition, the seminar offers the participants an excellent opportunity for networking. Submit your registration via an electronic form by 17 September 2018 at the latest. The maximum number of participants will be 70 doctoral researchers. The travel and accommodation (one night in a double room) costs of the seminar are covered by the FinEd to all doctoral researchers of the FinEd member units. Further information on the FinEd seminar: http://www.fined.fi/en/annual-seminar/. The Aurora database gives information about Finnish research funders and their funding opportunities. Aurora is open to everyone and free of charge. The registered users can save their searches and order email notifications of open calls. The database operates in three language versions, Finnish, Swedish and English. The database was renewed last spring so it functions better now via mobile devices. The Aurora database is produced by the University of Turku. The address of the database: https://www.aurora-tietokanta.fi/en/. The registration for the conference has opened! We welcome you to join discussions on virtue, truth and beauty in education. Virtue, truth, and beauty are the timeless intrinsic values of education as well as foundations of valuable life. Our time has to reflect on the issues related to valuable human life in the midst of global vicious problems. What challenges do these problems pose on education? At the FERA Conference on Education, we will discuss these challenges and try to find solutions to them. Submit your registration for the conference via an electronic form. The deadline for Early bird registrations is 22 October. You have still time to submit an abstract for thematic workshops. The deadline for submitting abstracts is 24 September. Further information on the conference: https://events.uta.fi/feraconference2018/. The Nordic Educational Research Association, NERA Conference. Further information: http://www.nera2019.com/. 4th Conference of the ESREA Network on Policy Studies in Adult Education. Deadline for abstracts 18 December 2018. Further information: https://sites2.ff.cuni.cz/esrea2019/. NOFA7​, Nordic Conference on​ Teaching and Learning in Curriculum Subjects. Deadline for abstracts 18 November 2018. Further information: https://www.su.se/hsd/english/research/conferences/nofa7-nordic-conference-on-teaching-and-learning-in-curriculum-subjects-1.388889. The Conference of the network of Junior Researchers of EARLI. Deadline for abstracts 30 October 2018. Further information: https://earli.org/JURE2019. The Conference of the European Association for Research on Learning and Instruction. Deadline for abstracts 30 October 2018. Further information: https://earli.org/EARLI2019. The Conference of the European Early Childhood Education Research Association. Deadline for abstracts 13 February 2019 Further information: https://www.eecera2019.org/. The Conference of European Educational Research Association. Deadline for abstracts 31 January 2019. Further information: https://eera-ecer.de/ecer-2019-hamburg/. ESREA 9th Triennial European Research Conference. Deadline for abstracts 25 February 2019. Further information: http://www.esrea.org/activities/conferences-seminars/. The coordination of the FinEd Network was transferred to the University of Tampere since the beginning of the present year. As a new head of the network, I would like to thank the earlier coordination unit, the University of Turku, for the valuable contribution. Professor Risto Rinne and coordinator Sanna Niukko have been the key people in the coordination. We are lucky to have both of them also in the new board of the network. Thus, we can expect the transition to be fluid. In 2018, we will continue to implement all the well-tried activities like the annual pre-seminar and the mentor pool. In addition, we aim to improve our international connections with the similar networks from other countries. The other issue we will focus is the communication. As a part of this project, we have renewed our webpages. The address of the new site is www.fined.fi. The network forms and develops as a joint project of the doctoral students and their supervisors. We hope that all of you could sit down for a while and think about the network activities. How would you like to improve the network collaboration? Please, let coordinator Anneli Lehtisalo (anneli.lehtisalo@uta.fi) and head Kirsti Karila (Kirsti.karila@uta.fi) to know your ideas and initiatives. The annual seminar of the FinEd Network will be organized as a pre-seminar to the FERA 2018 Conference, November 15−16 in Tampere. Further information on the seminar will follow in the next newsletter. Päivi Atjonen and Sanna Niukko have conducted an analysis on educational doctoral dissertations of three Finnish universities from years 2010-2016. In the analysis, altogether 171 works were examined, and their form, scientific approaches, research materials, sources and grades were analyzed. Atjonen and Niukko end their article with suggestions for considerations which could be used to develop doctoral dissertations and good practices. The article ”Väitöskirja tohtorin kisällinnäytteenä: analyysi kolmen yliopiston kasvatustieteen alan väitöskirjoista vuosilta 2010−2016” was published in Koulutus hallinnassa. Juhlakirja professori Heikki Silvennoisen täyttäessä 60 vuotta 23.2.2018 (2018). Workshop for researchers 11 April 2018, Hotel Aulanko, Hämeenlinna. Further information: https://www.itk.fi/. The conference is to focus on research careers and employability, doctoral training, international and intersectoral mobility, working conditions, equality, well-being and mental health, social impact of science and innovations, as well as researchers’ role in society from the perspective of early career researchers. Speakers represent Finnish and international actors research and higher education such as the European Commission, Science Europe, EUA-CDE, Academy of Finland, Euraxess, Mela, MCAA/MFCA, FUURT, universities and members of Eurodoc. Further information: http://www.eurodoc.net/conference-agm-2018. Early bird registration ends May 31st 2018. Further information: http://www.eecera2018.org/. The summer school addresses the big decisions faced by all PhD students in the course of their PhD: the choice of the theories and theoretical concepts and their match to the chosen methodologies. The summer school provides PhD students an opportunity to present and get feedback on their own research as well as to meet senior researchers and other PhD students from the field of higher education research. The language of the summer school is English. Participants of the summer school (18-20 persons) will be accepted based on relevance of the abstract to higher education research and the topic of the summer school as well as quality of it. Participation in the summer school is free of charge. Accommodation is offered free of charge for one night in two person room in hotel Alba, close to the summer school venue. Application form, instructions on writing an abstract and a paper as well as the updated program can be found on our web page: https://korkeakoulututkimus.fi/summerschool2018. This year summer school is followed by SANORD conference: https://www.jyu.fi/edupsy/en/collaboration/international-co-operation/sanord2018. The Summer School is organised by Finnish Institute for Educational Research (FIER) and Consortium of Higher Education Researchers in Finland (CHERIF). The conference is organized by special interest group 1 of European Association of Research on Learning and Instruction (EARLI). In the University of Helsinki the arrangements will be taken care of by the Centre for Educational Assessment (CEA). The Keynote speakers are Samuel Greiff, Dr., Professor in the University of Luxembourg, Benő Csapó, Professor of Education at the University of Szeged, and Dragan Gašević PhD, Professor and Chair in Learning Analytics and Informatics, University of Edinburgh. The registration is open. Early bird –prices until April 30th. The Summer School will take place two days before the main conference (August 27-28) at the same location as the main conference. Applications are requested to be sent to earlisig1@gmail.com (before April 1, 2018). The application should be submitted as a single PDF-file in e-mail attachment. Further information: https://www.helsinki.fi/en/conferences/2018-conference-of-european-association-for-research-on-learning-and-instruction-special-interest-group-1. Early bird registration ends May 15th 2018. Further information: http://www.eera-ecer.de/ecer-2018-bolzano/. The theme of the conference is Virtue, Truth and Beauty in Education. The task of education is to create hope and trust in the value and significance of life. The goal of education requires an understanding of what humans are and what they are like, what we consider valuable in human growth, and from what grounds and which sources this value is determined. Each generation must resolve their relationship with the problem of humanity and construe their relationship to the essence of education: virtue, truth and beauty. Our time has to reflect on the issues related to valuable human life in the midst of global vicious problems. What challenges do these problems pose on education? At the FERA Conference on Education, these challenges will be discussed and solutions are tried to find to them. The keynote speakers are the eminent philosopher-educationalist Professor Zhang Hua from Nanjing Normal University of China and Artist-Director Marita Liulia from Finland. Further information: https://events.uta.fi/feraconference2018/. Call for Papers ends March 31st 2018. Further information: https://www.iaacs2018.info/.